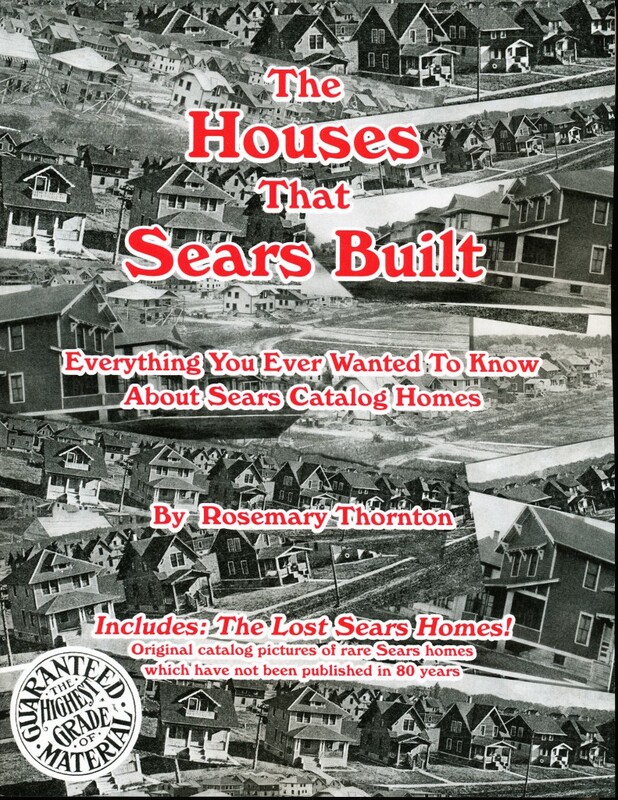 When I started the “Sears Kit Homes” group on Facebook in 2009 (thanks to Rachel for remembering! ), I dragged 12 friends into the group just so it wouldn’t look so pitiful. As the years passed, the group grew in numbers and I was gobsmacked when we passed the “1,000 members” mark. 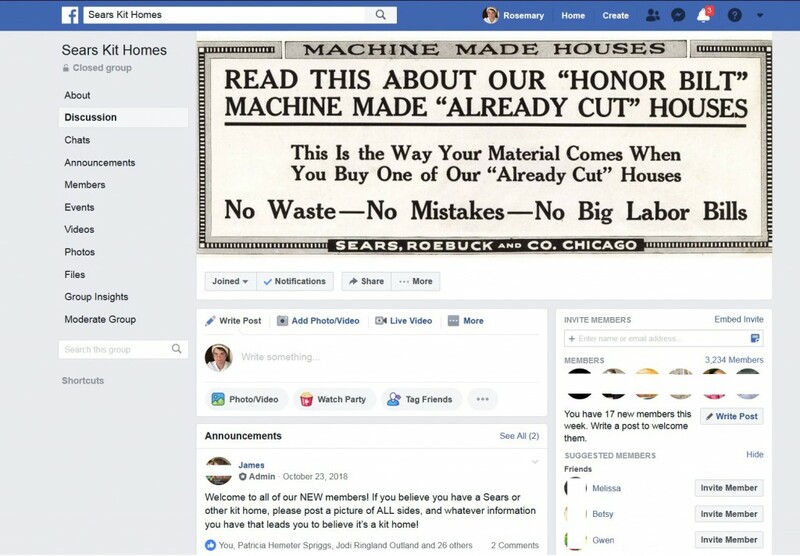 In Fall 2018, when Sears started circling the drain, interest in the old kit homes was renewed, and I was doing 3-4 interviews per week (with the media) and that’s when membership in the Facebook group exploded. As of today, it has 3,234 members and is still growing by leaps and bounds. Yesterday, I mentioned (within the group) that I didn’t have many books left, and when these went, that was the end of it. Within hours, I sold more than 50 books (several different titles) and stayed up last night until 2:30 getting them packaged and ready for Monday’s mail. As I said in a prior blog, I’ll always love the old kit homes, and I’ll still spin my head around when a pretty one passes me by, but the days of staying up until the wee hours inscribing, signing and packaging books are behind me. Soon, I’ll be packing up my house and moving to the Midwest. Perhaps once I’m settled, I’ll revisit the question but for now, I’m done. And if this book has brought you a blessing, please leave a comment below. In 2011, I snapped this photo in Edwardsville, IL and it still takes my breath away. I was there to do an architectural survey, and I stumbled upon this view and it reminded me of why I love the Midwest. Edwardsville has become a beautiful community, filled with shops and history and bucolic beauty. It may be where I land. The group now has more than 3,000 members and is still growing. 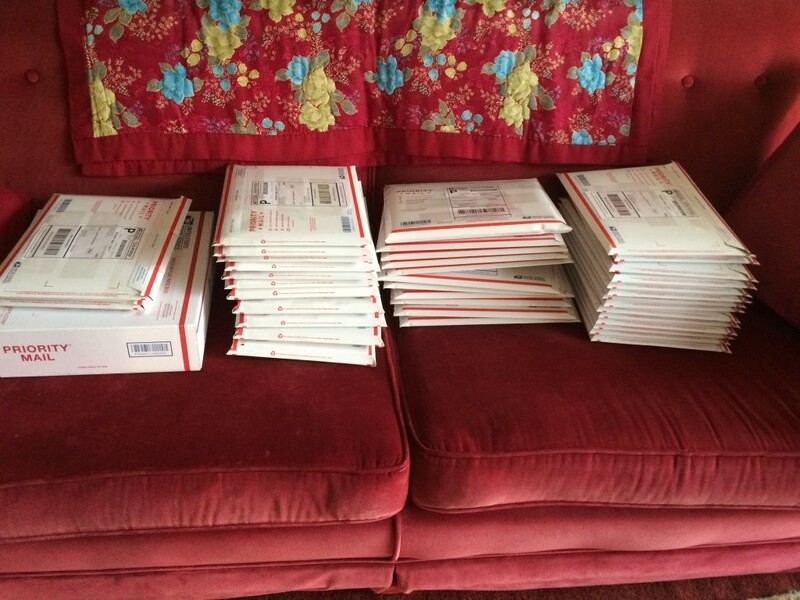 Saturday night, I stayed up until 2:30 am, signing, inscribing and packaging books. I'm still not sure how I'll get these to the post office. First printed in 2002, this book has taken me to many wonderful places. It's been a fun run, but for now - for the first time in 17 years - it will be out of print. It would take another book to explain the many blessings of this book but in short, it was published just as my mother died and my marriage of 24 years came to an end. This book (and the grace of God) not only saved me, but transformed my life and gave me a purpose. Best of all, it introduced me to hundreds of wonderful people, some of whom became lifelong friends. Want to learn how to identify kit homes? Click here. An Aladdin “Colonial” in Lynchburg! 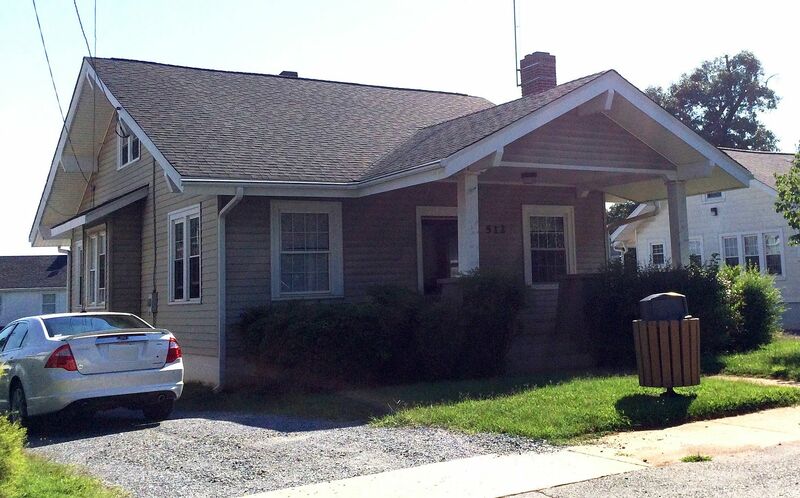 Years ago, I did a survey of kit homes in Lynchburg but apparently, I missed a couple. Earlier this week, I was in Lynchburg for other reasons, and on my way to an appointment, I made a wrong turn and stumbled upon two beautiful Aladdin kit homes, literally across the street from each other. The houses are on Brevard Street, and prior to yesterday’s “excursion,” I’d never been through that neighborhood. 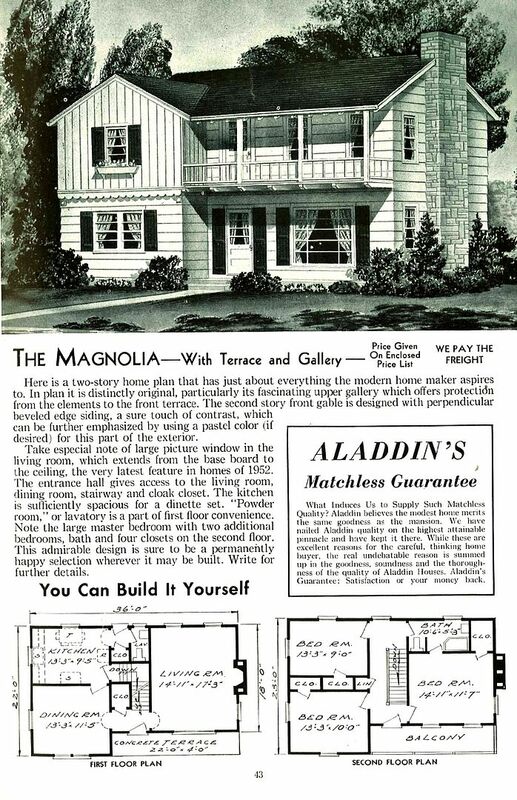 While Sears Kit Homes are more well known, Aladdin was actually a bigger company. Sears started selling kit homes in 1908, but Aladdin began two years prior. Sears was out of it in 1940, but Aladdin remained in the kit-home business until 1981. As a newly married woman, I remember studying the pages of the 1978 Aladdin catalog, dreaming of building my own home with my handy husband. These kits came by boxcar (usually) in 12,000-piece kits, and the instruction books were more than 70 pages long. Sears promised that a “man of average abilities” could have the house completed within 90 days. To learn more about how to identify kit homes, click here. 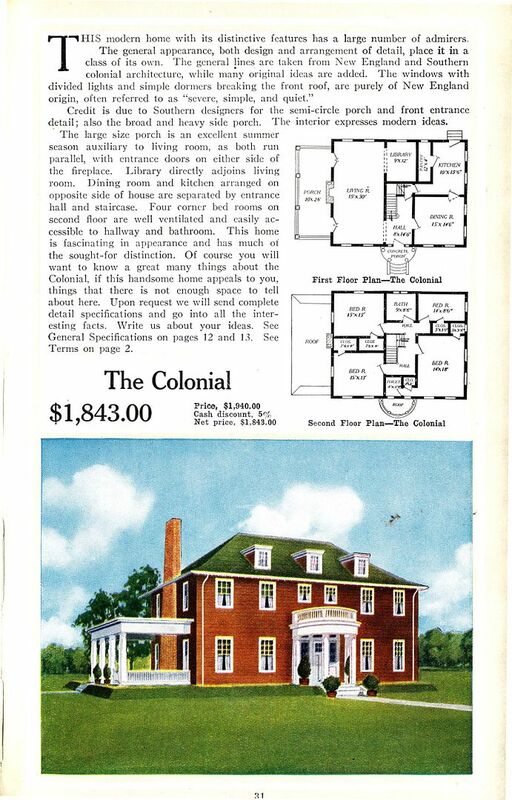 The Aladdin Colonial, as seen in the 1916 catalog. Located on Brevard Street, this house has been through a lot of insensitive remodeling, but it's still standing. I don wonder who thought it'd be a good idea to remove the porches. And just on the other side of the street is this Aladdin Pomona (complete with a 1980s trash can in the front yard). The house is in wonderful condition, but I was heartsick to see that the original windows - with diamond muntins - were tossed out at some point. What a pity. 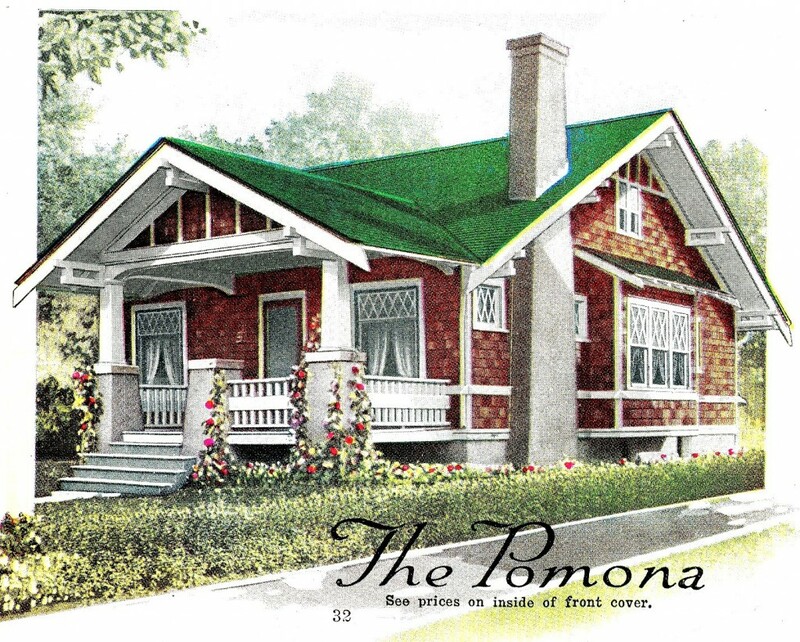 The Pomona, as seen in the 1919 Aladdin Homes catalog. Those windows are what make the house. Here's an Aladdin Colonial in Kinston, NC. 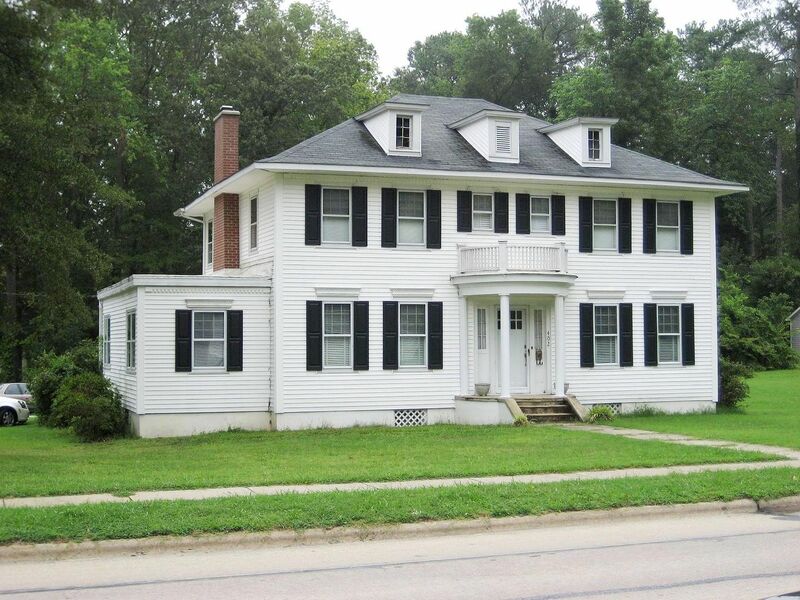 Roanoke Rapids, NC is filled with Aladdin Homes, from the simple to the grand. 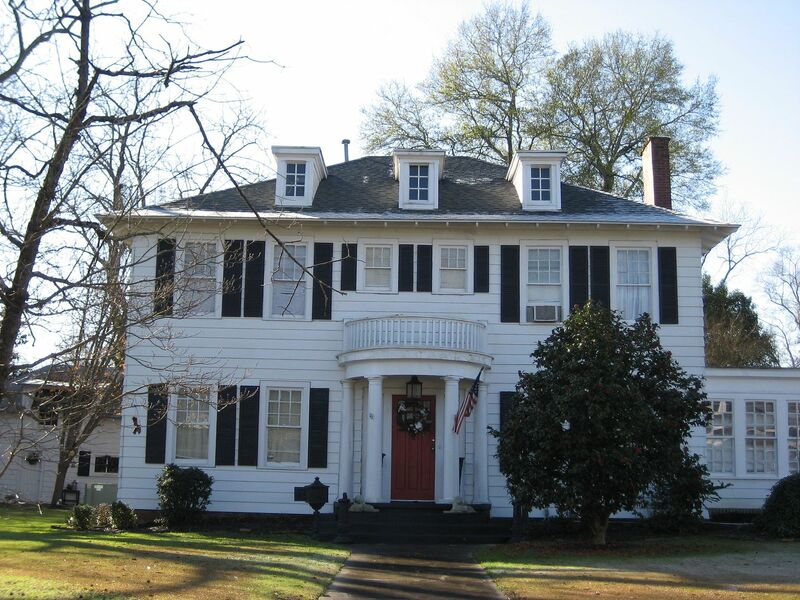 This Colonial retains that distinctive half-round front porch. 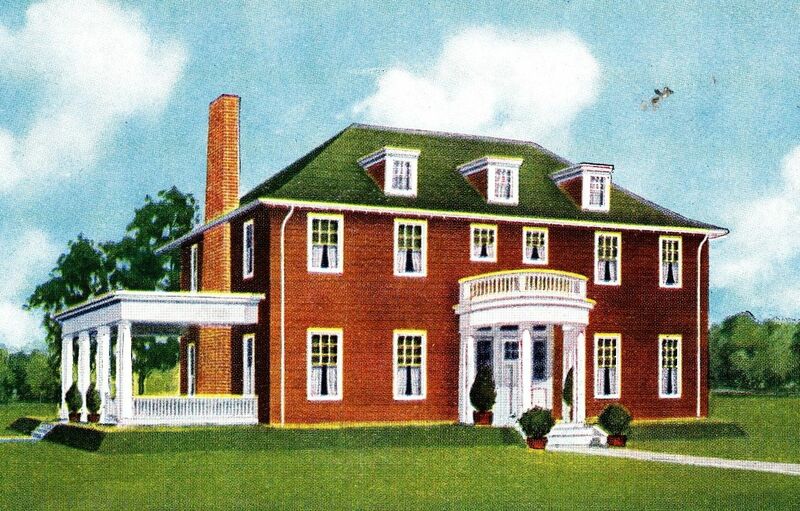 Another view of the Aladdin Colonial. Learn more about Aladdin here. Learn more about what I’ve survived here. A Magnolia in Alton, Illinois?! Sort Of! 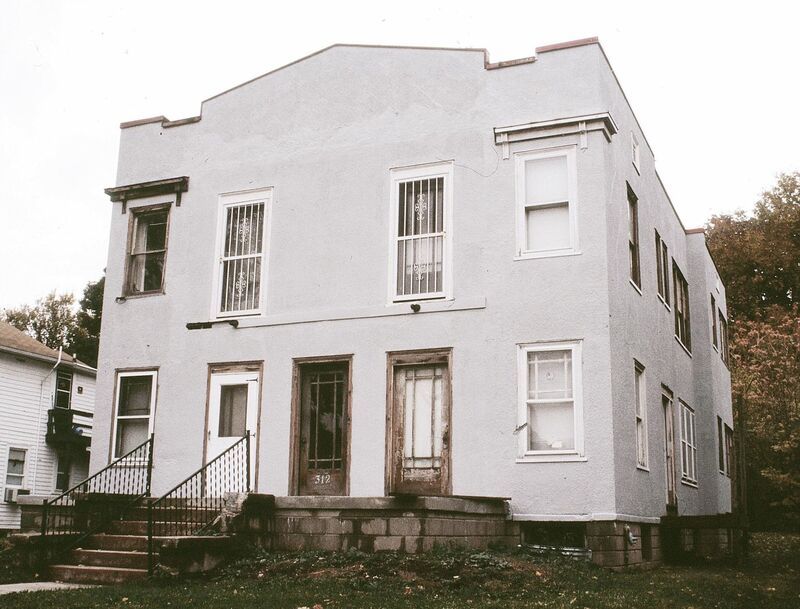 About 1999 or so, my [then] husband and I went to an open house in Alton, Illinois where we saw a darling house. 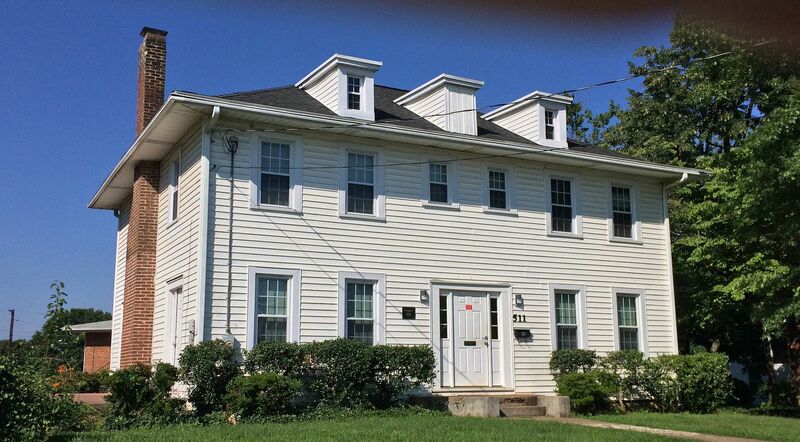 In other words, this house - from Aladdin Homes in Bay City Michigan - came from a mail-order catalog and was shipped to the Alton train station in a box car. The house arrived in about 10,000 pieces and came with a detailed instruction book and a promise that an average fellow could have the house assembled in 90 days. For the next few days, I really struggled to remember where I’d seen that house, and to the best of my recollection, it was not far from our home in Upper Alton (on Pine Street). Memory can be fickle, but I’d bet money that we saw the house on a little cross street not far from Edwards Street. In 2006, I left Alton and moved to Norfolk, VA (which makes it harder to find kit homes in Southwestern Illinois). Despite driving throughout this area many times over a course of several days, I never did find the Aladdin Magnolia. Now I’m starting to wonder if I saw this house in Godfrey (next door to Alton). This Magnolia would have been built in the early 1950s, and when we saw it in 1999, it looked much like the house shown in this image. In other words, it had not been “remodeled,” so it should be easy to find. I distinctly remember the oversized living room window and the cantilevers under that second-floor balcony. 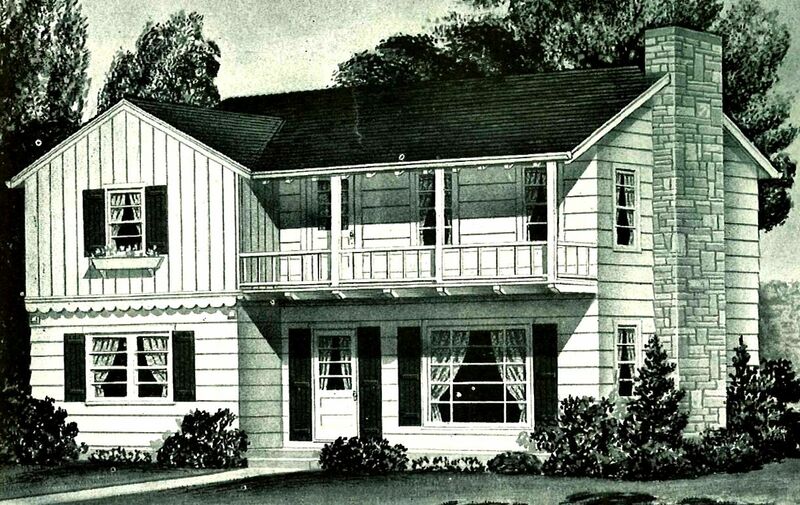 I also remember the scalloped trim on that front gable. Please leave a comment below if you know this home’s location. And please feel free to share this link with others who might know the answer to my mystery! One of my favorite images from the 1952 catalog is this line-drawing showing a "phantom box car." 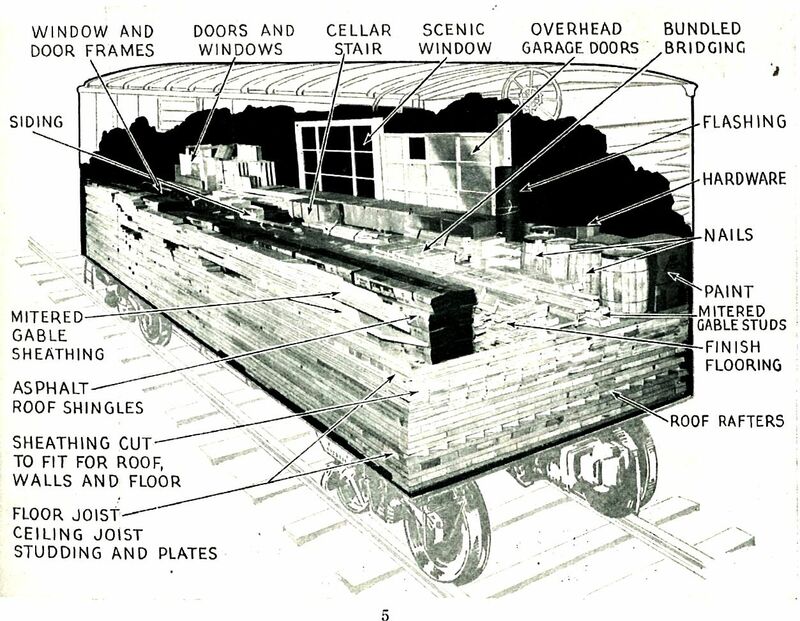 The sides of the box car were invisible to showcase the intricate stacking of 10,000 pieces of kit house (1952 catalog). Alton has a Magnolia, just like this, but where is it? Detail of the first floor. It's a small house, but has a half-bath on the first floor. 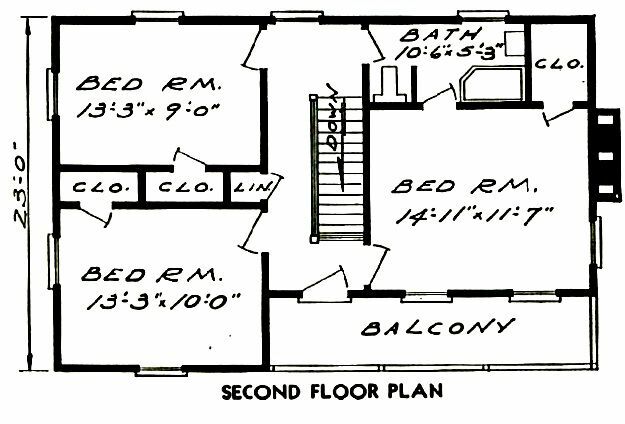 The second floor has three small bedrooms and an oddly-shaped bath tub. Close-up of the Magnolia in Alton. Or is it Godfrey? Whoever invented the "slime trail" feature of Garmin is my hero. 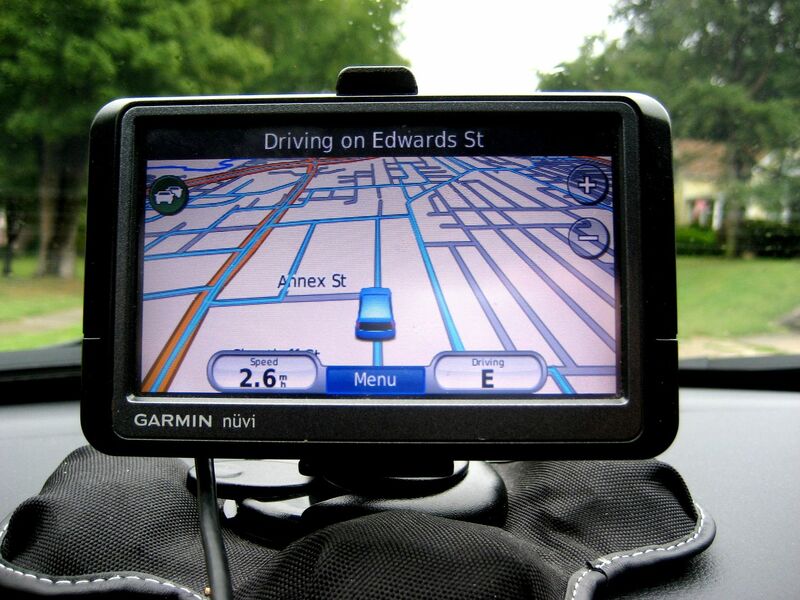 Back in the day, I used maps and highlighters to figure out which streets I'd traversed. This shows the early hours of my search. By the time I left town Sunday night, almost every street in Upper Alton had the blue slime trail. Have you seen the Magnolia in Alton? If so, please leave a comment below. To learn more about my other discoveries in River Bend, click here. To see pictures of my favorite Alton kit house, click here. 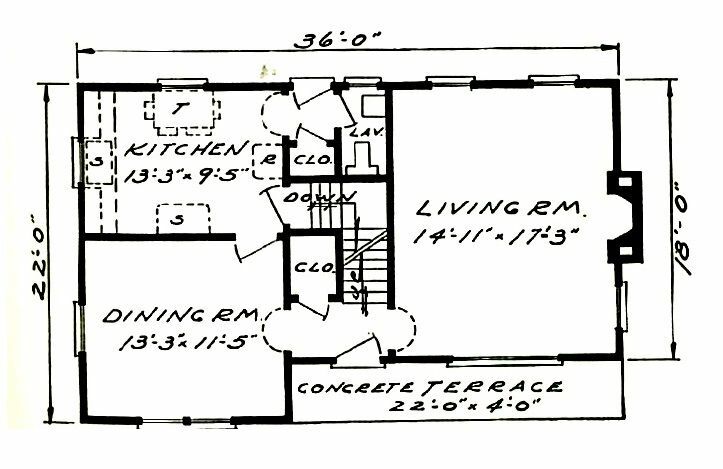 In the early years of the 20th Century, living a simple, modest, clutter-free life was an integral part of The Bungalow Craze. Murphy Beds were an integral part of that “space-saving” mind-set. And they were very practical, too. After one’s morning prayers and ablutions, how often did one return to their sleeping quarters? When the sun popped up in the morning, it was time to make the bed, fluff the pillows and tuck your bed back into the wall. The Murphy Bed made our little bungalows a little bit bigger, and a little more accommodating. 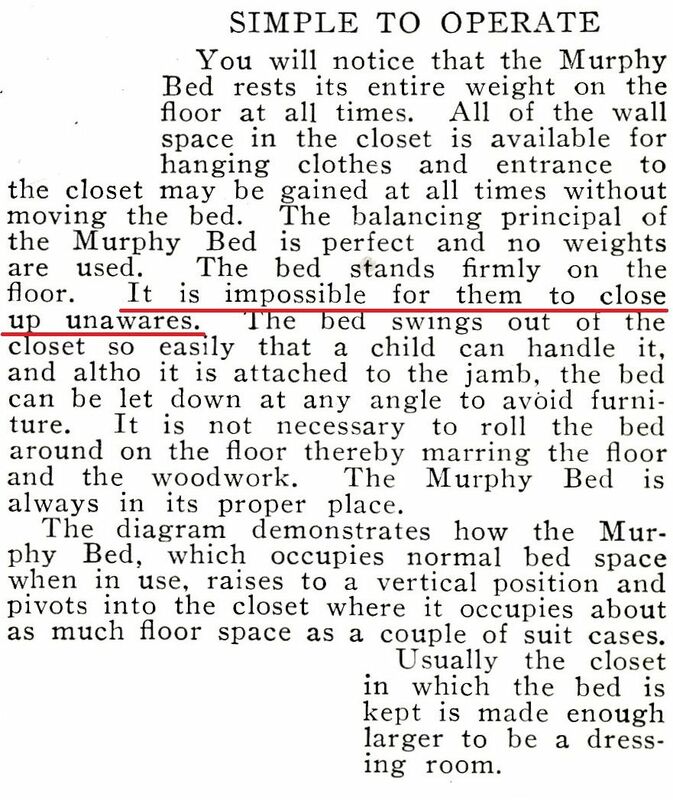 In the 1920s and 30s, the sale of Murphy Beds skyrocketed. In the 1950s and 60s, sales dropped, as Americans moved into bigger and bigger houses. In the 1990s and beyond, sales again are way up, due to a poor economy, high unemployment and rising housing costs. 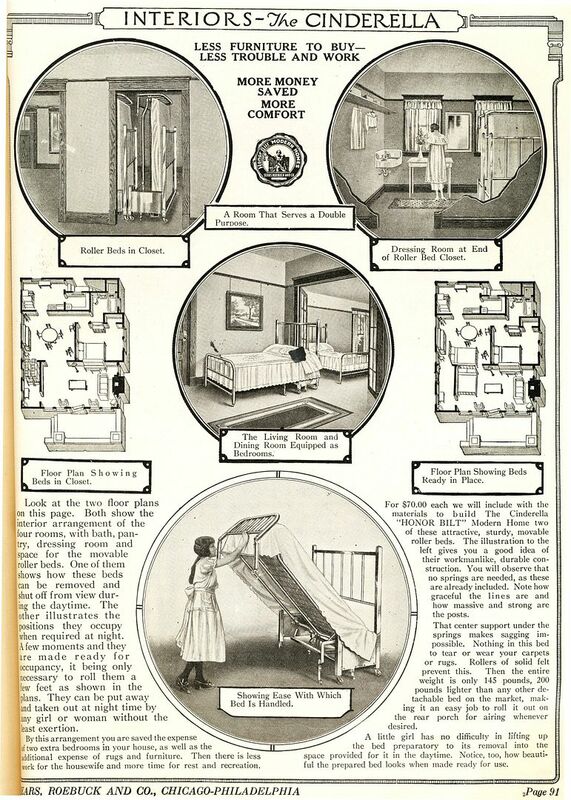 Some of the early 20th Century kit homes offered by Sears and Aladdin featured Murphy Beds. 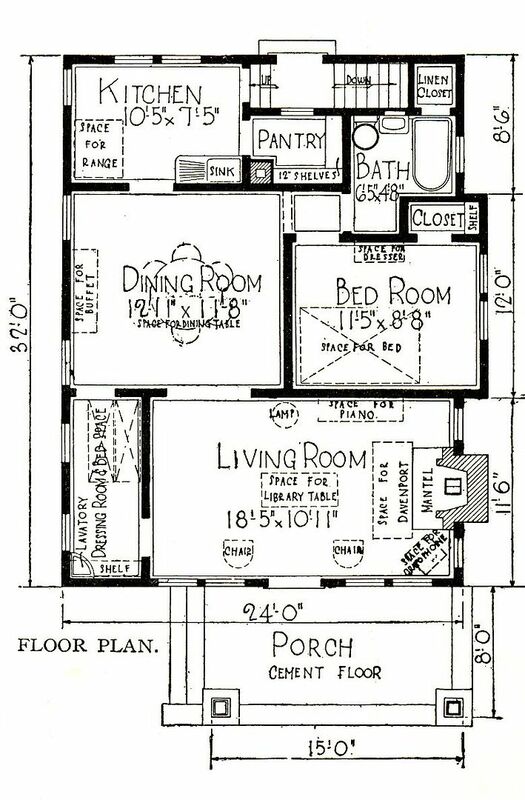 “The Cinderella” (so named because the house was so small it required less work), was a cute and cozy kit home offered by Sears in the early 1920s. This little bungalow made good use of its small spaces by incorporating a Murphy Bed. Take a look at the pictures below to see how they did things 100 years ago. 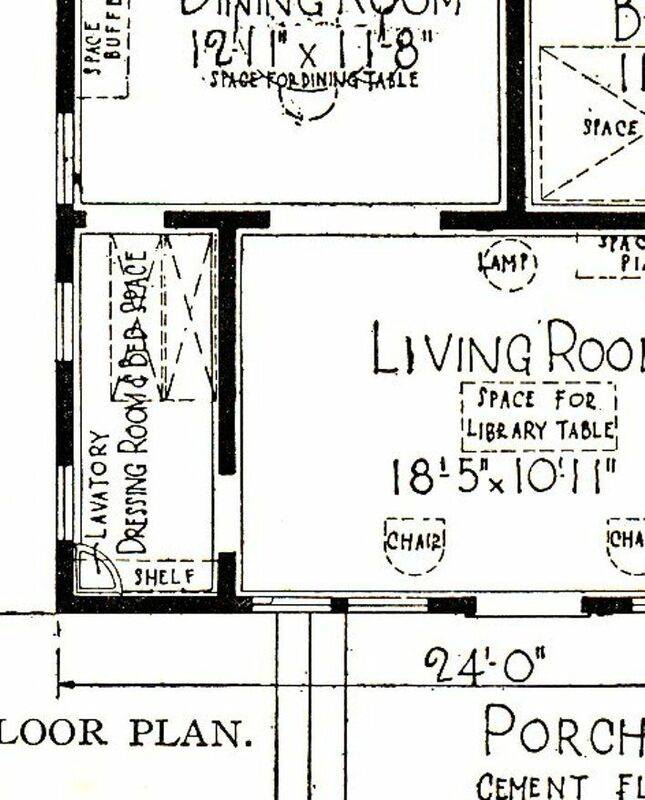 To learn more about built-ins in the 1920s kit home, click here. To learn about breakfast nooks, click here. Read about The Sorlien Ceiling Bed here! If you enjoy the blog, please oh please, share the link on Facebook! 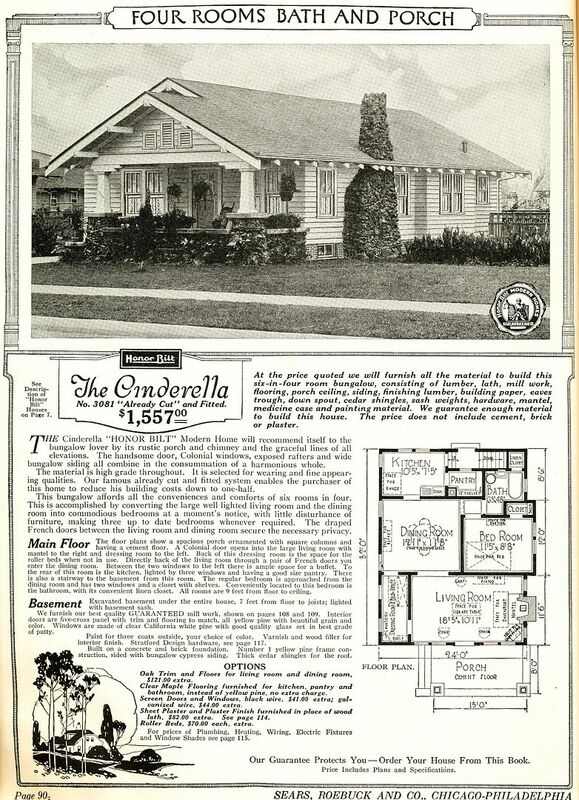 The Cinderella (1921 Sears catalog) was so named because it was an efficiently designed bungalow that saved the housewife much time and effort. 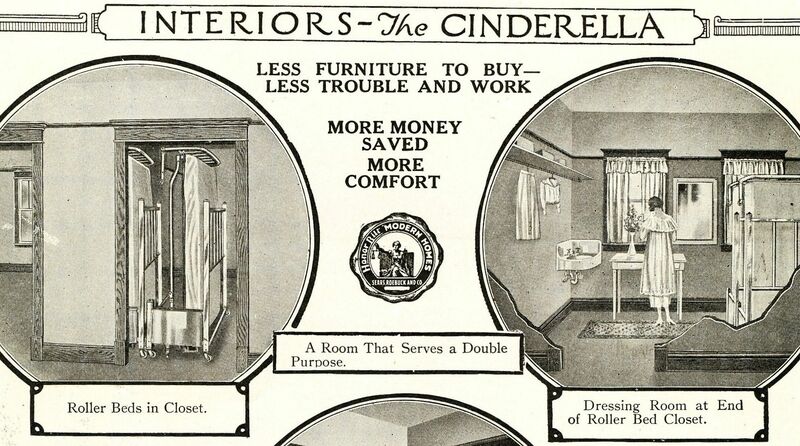 Interior views of The Cinderella (1921). Less furniture to buy - less trouble and work. Good points, actually. In the Cinderella, the beds were tucked into a closet during the day. This is my favorite shot. This room was about five feet wide and ten feet deep, but it looks pretty darn spacious. And look at that sink at the end of the wall. Just a lone sink. 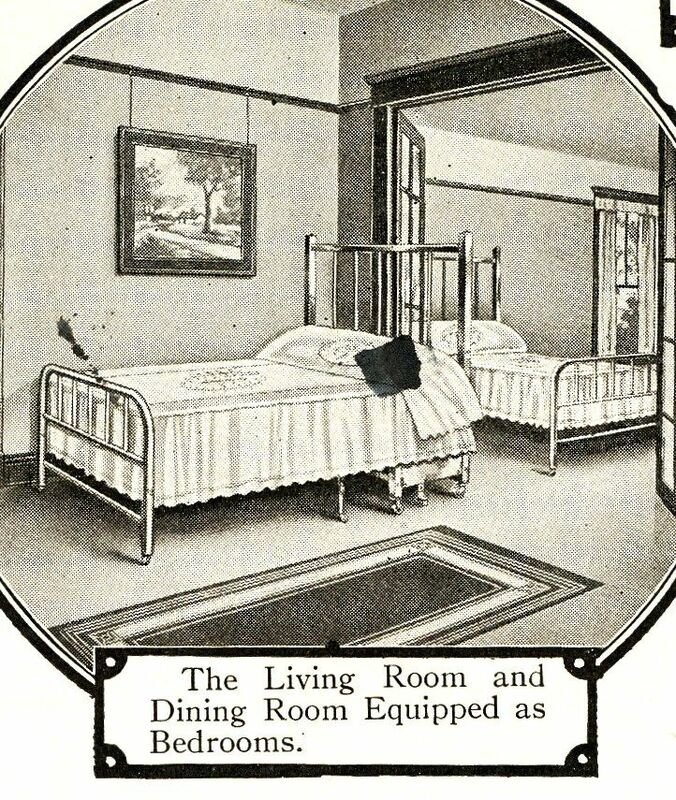 The Cinderella assumed that both Living and Dining Rooms would be used as sleeping spaces. It's so easy, even a child can do it! Sort of. 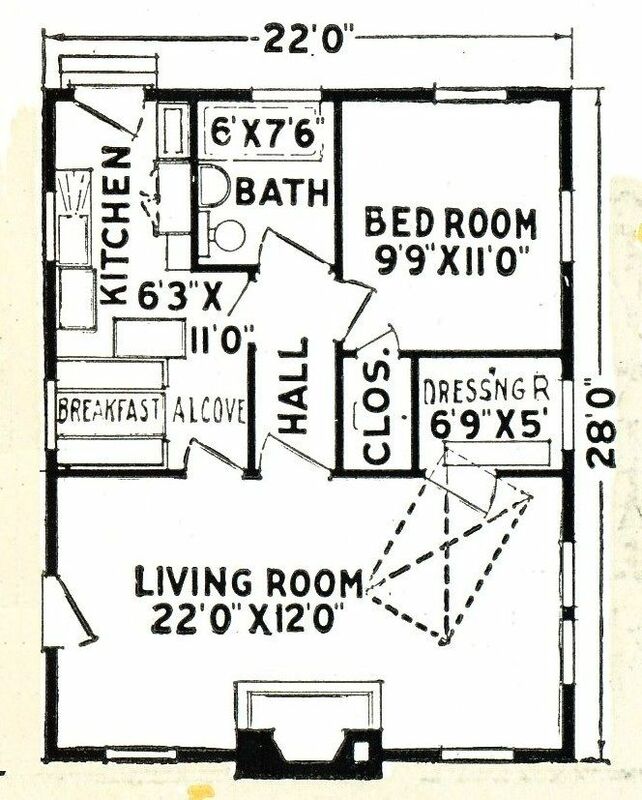 Floorplan shows how tiny that "bed space" really is. It was 10'11" long and - if the drawing is anything near scale, it appears about five feet wide. In modern times, the folks looking at this house probably thought, "How odd! A big walk-in closet next to the living room, and it even has a sink in the corner!" 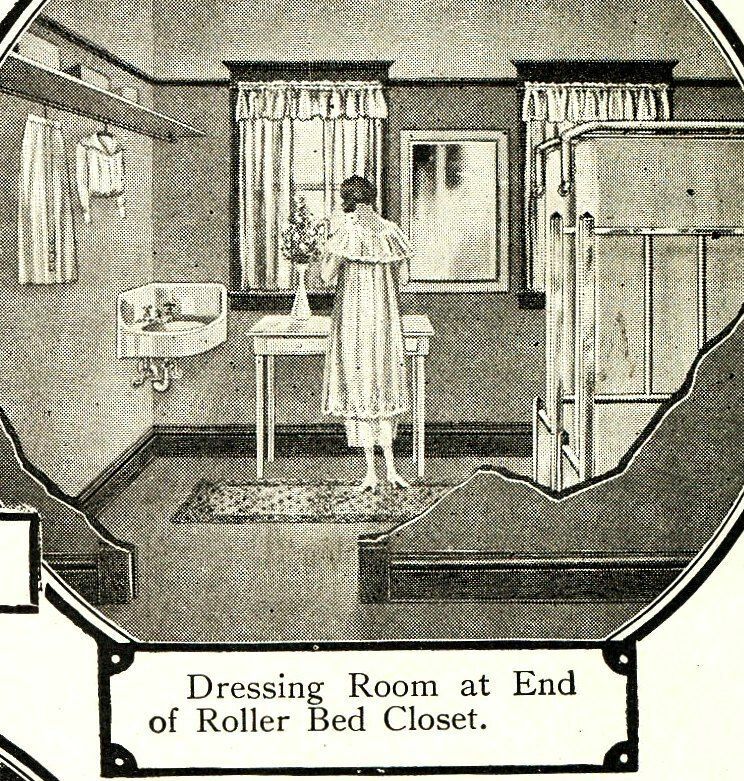 "Dressing room and bed space." Pretty tiny space!!! "Twenty rooms in 12." 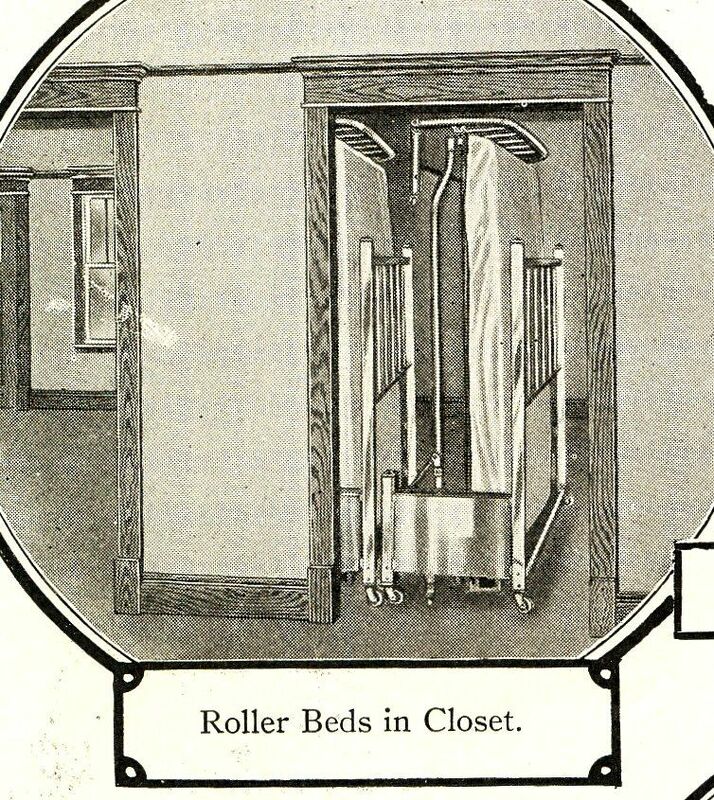 Eight of those 20 rooms were closets with a bed. 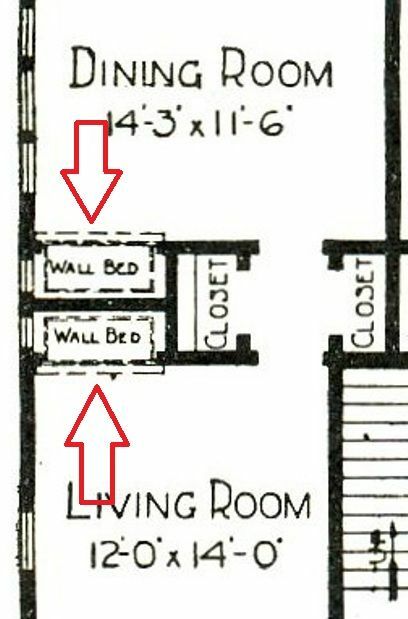 Here are two of those eight "bedrooms." At least they have a window. Close-up on the Murphy Bed in the Calumet. 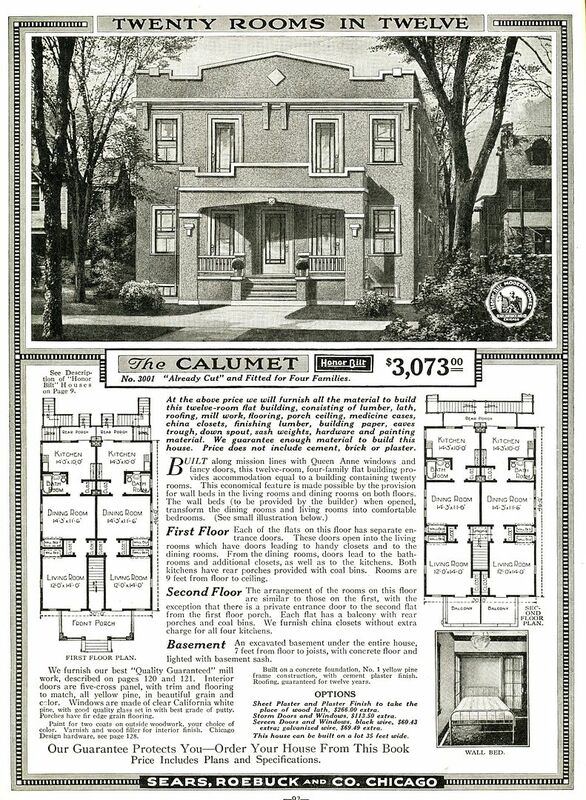 And here's a real, live Calumet in Bloomington, IL. 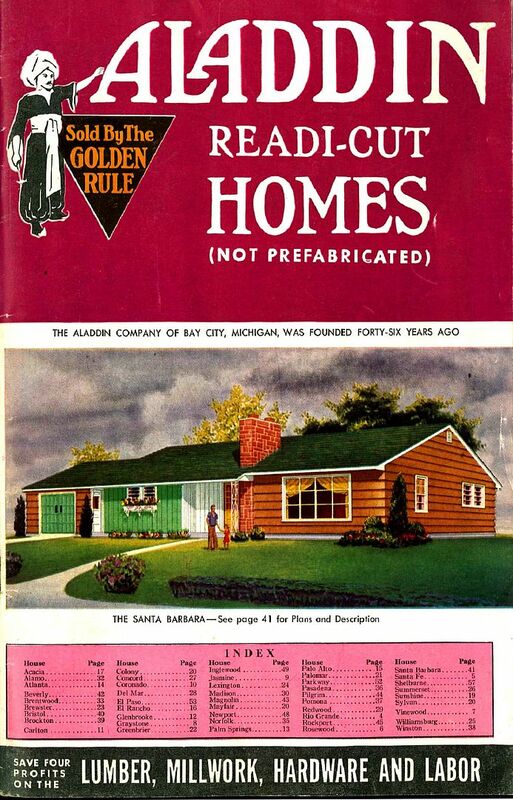 Like Sears, Aladdin (Bay City, MI) also sold kit homes through mail order. They had a line of wee tiny Aladdin homes known as "Aladdinettes." 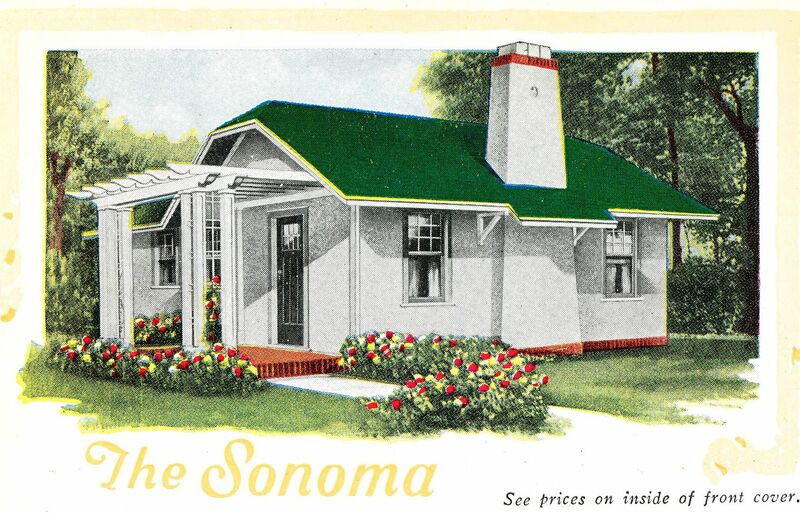 Here's a picture of the Sonoma (1919), one of their Aladdinnette houses. The Aladdinnette's "bed space" was really tiny. Only 6'9" by 5'. You have to step out of the room to change your mind!! 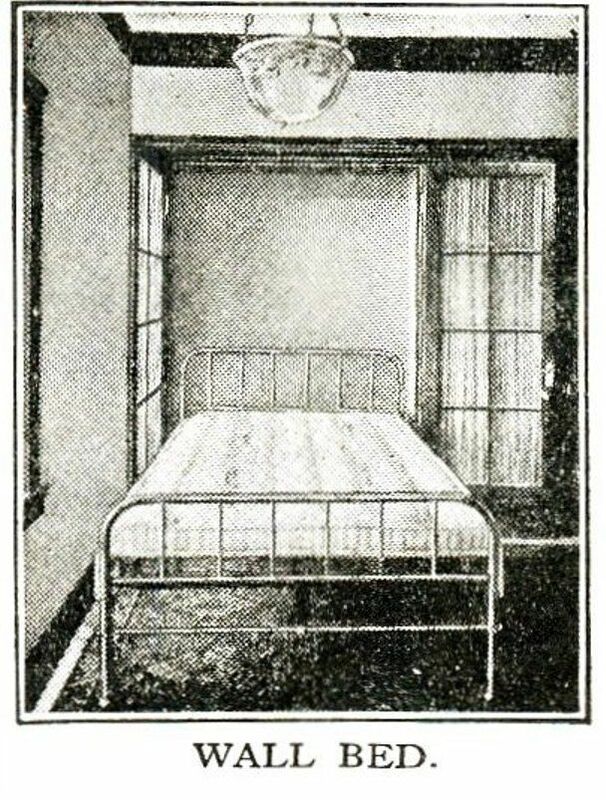 Close-up of the Aladdinnette's "closet bed." To read the next awesome blog, click here. 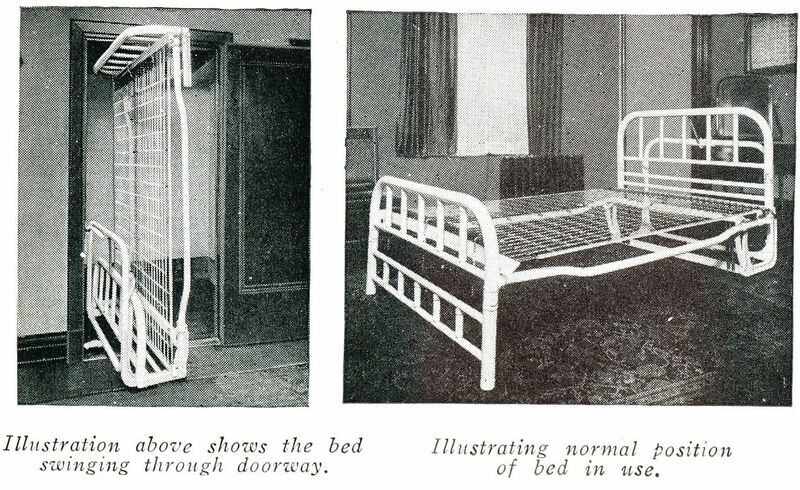 Interested in other early 20th Century space savers? Click here. 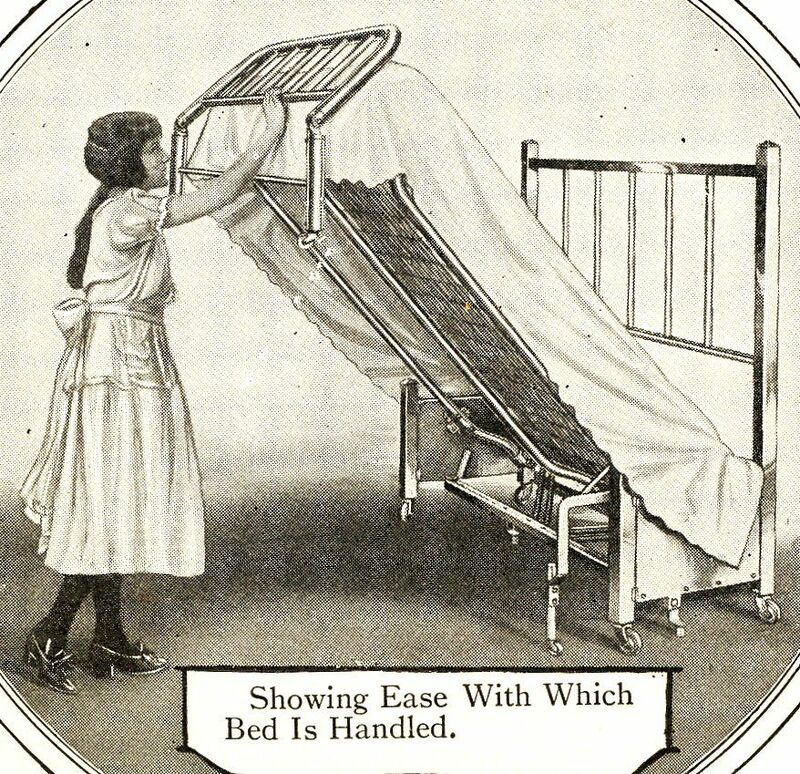 Youtube demonstration of a real Murphy Bed (1916).